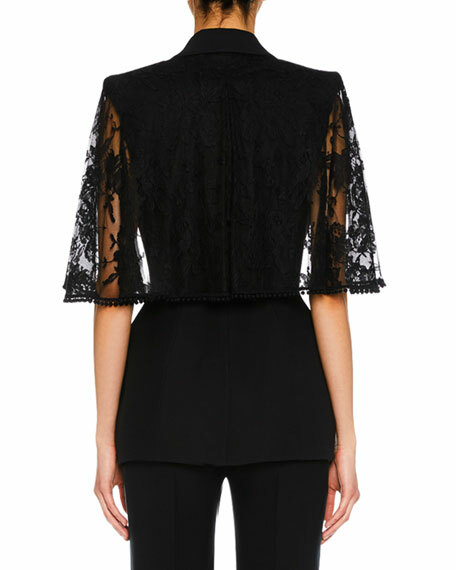 Alexander McQueen crepe blazer with lace capelet. 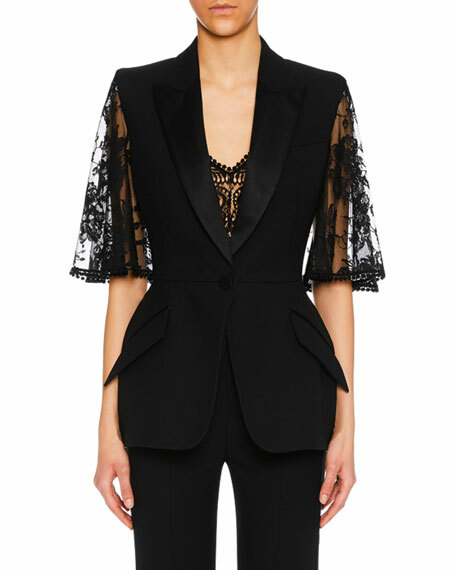 Satin peak lapels; one-button front. For in-store inquiries, use sku #2579242.